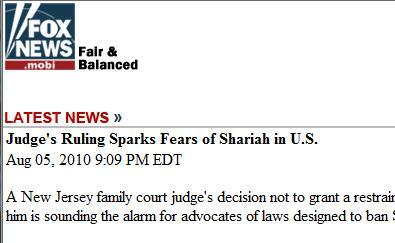 Judges to Enact Muslim Takeover of USA! Must be true, I saw it on teh interwebs. 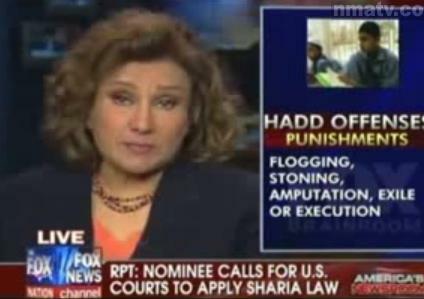 At some point Fox amended the top story to “Advocates of Anti-Shariah Measures Alarmed by Judge’s Ruling”. 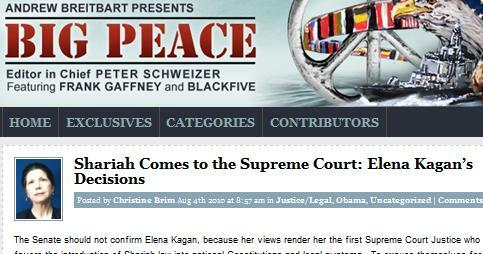 Kagan, of course, is also a Nazi, because she once quoted a 1905 book by a man who later became a Nazi.